I've been having some interesting conversations with Ymar recently—one point we have been disagreeing on is the nature of ingraining habits in martial art training. You can read some of our discussions in the comments section of my previous post on “Motion Without (Muscular) Movement” and also at his blog. One point Ymar makes is that we should minimize all habits. This reminded me of an Introduction to Jeet Kune Do Workshop I hosted recently. Dr. Zee Lo and me. Our guest instructor for the day was the amiable Dr. Zee Lo. Unfortunately we had some time constrains so the workshop was quite short, but the good thing about this is that it forced Dr. Zee to really get down to the essence of Jeet Kune Do. For him Jeet Kune Do is all about simplification. One example he gave, for instance, was that there is only one stance in Jeet Kune Do. The beauty of simplicity, particularly for self-defence purposes, is undeniable. For one thing, under stress, simple proves to be much more practical. When adrenaline dump causes you to lose fine motor function and some cognitive ability, it is the simple techniques that will work best. trapping drills at the Jeet Kune Do workshop. I agree. How can I not? So do I think that simplicity means no drilling, no creation of habits? For me the answer lies not in drilling habits, but gaining certain skills. I think I address the issue in my post on the purpose and value of pre-arranged sparring. We cannot forget that the expectations for a beginner are different than for an experienced martial artist. There exists a development from moosool, to mooye, to moodo. And as one moves up this continuum you find that things actually do become simpler. Paradoxically, what the beginner find tremendously complex, is simple to the experienced martial artist. The advanced martial artist is not confined to complexities, yet to have arrived at such simplicity in motion, such grace and ease of technique, required years of (complex) study. That is the paradox of simplicity. A first degree black belt asked me a while back that we drill in some specific techniques more regularly because it seems like every night I teach I teach something different. I was quite surprised at this because in my mind I'm teaching only a small handful of things—a small ensemble of the same basic principles. It may seem that I'm teaching hordes of techniques, but that is because I'm not confined to any single technique. I'm working from the same principles. Yet it is also true that I can do this because I have, over the years, drilled in many techniques until they have become comfortable. Only because I don't have to think about them do they flow. For me simplicity comes from moving from principles. For beginners, however, it is often difficult to do this. They first need to build up a repertoire of conditioned techniques, and only then can they start to express themselves freely. Like a maestro musician that makes her free expression of the music she plays look so simple and unfettered, this is only possible because she had put in the thousands of hours of drilling scales and other difficult training that now shows the fruit of her labours. Coincidentally, or not, Dan was thinking in a parallel fashion to my own. Though we were talking about completely different issues: his students attending a seminar in Taiwan while I addressed training with a TKD user. Dan mimics my conclusions almost perfectly, although he came from it via a very different journey than my own. In mathematics, this would be solving the same proof, but through entirely different logical starting paths. Or perhaps solving a derivation equation about physics using one method vs another. When I speak of reducing habits, I am in essence describing mastery. The highest level of the high, what people like Sun Tzu and Miyamoto Musashi developed. If I simply wanted a student to knock people out in sparring and kick arse in whatever drills they are doing in karate or some other external school, I could condition them, drill them, make them repeat movements, until it is a physical and mental habit. But that is not mastery and if they ever faced a true master, their lives have less than a 50/50 chance of being preserved. That is not to say it is a realistic threat, but simply the practical conclusion. Additionally, if a situation arises where their training did not deal with, they will stall, freeze, or collapse. My conclusion is simply that if a person wants to achieve mastery, not simply "proficiency" in "it works", they need to reverse whatever habits they have gained. Shatter whatever forms they learned physically and mentally. Control whatever actions they had been conditioned to inhibit. Think outside the box. It's fine if a student simply wants "what works" from an instructor. Not everyone trains for the same reason. But I would be up front about it and tell them there is a short cut and then there's a long way around. The short cut can work great, in the short run. Police can be trained to deal with a specific threat. So can soldiers. But the moment the rules of engagement gets a little bit "too complicated" or something 'surprises the user', then it all starts falling apart. That is then what separates the true warriors from simply the ones that fight through habits, through what they felt comfortable with. A true warrior, that has obtained even a glimpse of mastery, can ride the waves of chaos and use it. Someone that can fight well due to habits and conditioned responses, will not be able to ride the chaos, instead they will fight it and try to make it conform to whatever thing they learned in a book or in the dojo. What your student said is something I noticed often in some aikido students. Each day, split into 2 hour training per week, of aikido, they spend around 10 minutes for every 20 minutes of drill warming up and attempting to "Remember" the technique they were shown. This is true even of repeat techniques from weeks ago. Essentially, their "training" time is cut in half because half of it is spent trying to "warm up mentally" and "remember how the technique goes". They get confused, in essence. By the time they've warmed up and are now "learning", the drill is almost over. Not so efficient if you ask me. That's why beginners shouldn't focus on techniques. Certainly not a new one each day. I didn't notice this in the beginning, because I was in the same situation. But after a few weeks, I did notice that these other students, my seniors with far more than six months of additional training, were still at the level I was 4 weeks ago. Then 4 weeks later, they had not appreciably improved. Or least, they seemed to have "forgotten" certain things. Each person is unique and different, but these were general trends. I would like to mention some things from Taiji Chuan's training, but that would be using my internal knowledge, which people who don't do that type of training won't easily understand. Dan may understand it and see the connections I pulled, but that's a different matter. Instead I'll use something akin to TKD, JKD, or hapkido. Now we're getting into specific training method. In general, the number one issue I have had with Korean or Japanese martial arts teaching is the attempt to acquire both mastery and technical proficiency at the same time. Moosool combined with mooye combined with moodo. The way the training system is set up, tries to push a student into these things all at the same time. And they get none of it as a result. The many many techniques martial artists currently practice, were not designed with "moosool" in mind. These were techniques designed to counter other techniques. They are too complicated or advanced for merely technical proficiency. They are instead more geared towards moodo or mooye (such as aikido transformed from aikijutsu). Basic technical proficiency starts from learning the simplest, most basic, movement. Gross motor skills. As fighters became more advanced and started using counters to techniques, counters to the counters had to be created, thus they became "complicated". Thus a fighter that can counter, defend and counter attack, counter the counter, attack while defending, is near or beyond the point of mastery. The Ancient Chinese arts achieved this as early as 500 BC, if not before. Before the development of Wu-Shu, Neigong, Neijia, Yu Nue's sword theory, Sun Tzu's Art of War, and so on and so forth, fighters spread their techniques by word of mouth and a famous fighter was always known for his "technique" that he had honed to perfection. These were not masters, but very proficient technicians that focused on one thing, and made it work. Proven by the fact that they were alive to tell about it. This then developed into advanced styles such as Taiji Chuan, Xingyi, Baghua, where the focus wasn't on technique, but on dominating the battlefield strategically and logistically. So that even if you lose a tactical battle, your position is still so strong, you win anyways. By having low level students drill in these techniques, they are in essence dividing their time between different goals: the long term goal of mastery and the short term goal of technical proficiency (it works). A rock to the back of the head "works" but it's not considered mastery. A stomp to the head "works" but it isn't considered to be a technical skill. Jumping into the air and landing with both feet on someone's torso/body, will do more damage than 10 minutes of "ground and pound", but it's not considered a "technique". What "works" is what "works". Technical proficiency should never be about achieving mastery. That's like putting the cart before the horse. Proficiency must be acquired first, else the things that were derived from mastery cannot be utilized by the student. Bruce Lee deserves an entire post of his own, given the complications involved with his story. Specifically, TKD and karate have "one step sparring type drills". I'll use an example from TFT for comparison. There's a tendency on the part of MAs to think this is scripted or rehearsed, like one step sparring. It's not, however. Those with a sufficient level in observation skills can see why. These students know what is about to happen about as much as Dan knows will happen in his kitchen training. Spontaneous reflex response based upon immediate judgment and reality. In the beginners case, it isn't "immediate" but laggy. They'll improve with time. Instead of using a round house or side kick in TKD's one step sparring, I would reduce the complexity and remove the elements of mastery from the curriculum for students that cannot as yet benefit from such elements. Instead if someone needs to learn how it feels to transfer power, using a palm thrust powered by the legs is just as good. And much simpler. TFT's training system seeks to eliminate habits from the get go. No emphasis on any single technique, although many people seem to favor a certain sequence, if only because they want to work at it to improve. The idea is to take a simple move, learn it, apply it in absorbing principles, then discard the technique and find another technique that expounds on a different principle. Because fine motor techniques and techniques designed to "counter" other trained martial arts or ones that use advanced concepts forged through historical experience is absent, one can focus exclusively on proficiency without interference from the long term goal of mastery. In essence, they conflict and mutually annihilate each other. Mastery requires that a person reduce their habits. Proficiency actually tends to increase a person's # of habits, until the point they are comfortable enough that they can get rid of those habits. By teaching elements that require mastery (simplification of advanced or complicated techniques and concepts ), while a student has yet to achieve proficiency, is like a beginner in aikido. He's not going to learn as fast as someone who already knew lethal force applications H2H that also went into aikido (such as a kenjutsu practitioner that learned aikijutsu as a backup in case of disarms/grappling/takedowns). The difference in rate isn't because one is smart and the other dumb, or one is talented and the other talentless. It's based upon degrees and orders of progress. One was out of order, the other was in order. I see the same thing, dramatically simplified, in Tony Blauer's SPEAR system. The response with links was posted here, but now I don't see it. It might have been put into the spam box, or might not. Anyways, that one is now available on my blog, in two parts. I address the Bruce Lee connection in part 2. To reply to the issue a black belt brought up, I would see the solution to that as using gross motor skills to teach principles. Gross motor skills do not require as much time to learn and integrate as fine motor controls, especially kicks. Thus you can learn the same principle with a gross motor move as with a fine motor kick, so why would you start a person out, especially someone with a limited time in training, on the kick but not the gross motor movement? The answer to that may be, generally speaking: because that's how it has always been done. But that's not precisely true either, it has only been done recently, historically speaking. By teaching a person principles first, and using techniques as support, the user will achieve not only proficiency faster, but also the mental freedom required for mastery. The goal of many dojos, aikido included, isn't an education on principles or martial theory. The time they spend talking is time wasted on techniques. Techniques which people only learn through experience, experience that they cannot easily obtain because time is limited and is rendered even scarcer by the instructor taking up precious time talking about techniques and showing it while others stand around watching. This is why, after they have learned to do the techniques, they still don't get things on a principle, foundational, conceptual level. Nobody spent much time on. So then everybody scrambles at the last second cramming for a test, trying to memorize martial theory and concepts as if that substitutes for comprehension. And in the end, it doesn't work or at least only works very very slowly. I can habitualize a user to any number of things depending on the goal. I can even fix, with reliably certaintly, bad habits or bad training drills. What I can't do is to recover the 2 or 5 or 10 years that student spent with his brain stuck on the wrong path or idea. Even if I fix his paradigm now, so that he knows what to do with the technique physically and the principle mentally, that doesn't recover the years he spent thinking of the wrong things. Efficiency is not produced by people trying harder and training longer, but by training smarter. Using the human brain to make things more efficient and destroy what is wasting people's time. Like hand spinning silk. Haha, Ymar, I like your comments, but they are too long! You address so many different issues, which leave me somewhat overwhelmed. Not because I cannot comment on them, but because I want to comment on them but do not have the time! This is the same reason I avoid martial art forums -- I like the discussions but just do not have the time to get involved in them. First, I disagree with the general statement that all Korean martial arts try to teach moosool, mooye and moodo at the same time. I've practised primarily in Korean martial arts and actually find the opposite; that the more traditional they are, the more they seem to stay stuck within moosool. And ironically, I've experienced more moodo in most ITF Taekwon-Do than in most Hapkido. (The former seem to have a greater scholastic and philosophical emphasis than the latter.) And then Taekkyeon which is a highly aesthetic style seem to jump from moosool to mooye within a few months. 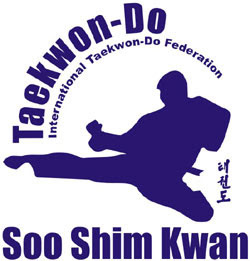 Back to my base art, ITF Taekwon-Do. To me there is a definite and quite clear progression from moosool, mooye, and moodo. This is particularly visible in the progression of pre-arranged sparring which start out extrememly fixed (e.g. three-step sparring) and then progresses to something very intuitive at higher and black belt levels (e.g. in one-step, semi-free, free, and traditional sparring). Proficiency actually tends to increase a person's # of habits, until the point they are comfortable enough that they can get rid of those habits." This is why I don't believe in the idea of "no-habits" . . . we are instilling habits, but the habits become so varied and all encompassing that we eventually transcend them. This is the transition from moosool to mooye -- mastery. Again, there is so much more I'd like to respond to regarding your comments; unfortunately time just does not allow. You can do what I do. I read a post, such as from Dan, then I reread it after a few weeks or months. Sometimes I have a lot to say at the time. Sometimes I wait. Sometimes I only have something to say after rereading it. Other times, if the post is too long and some parts are irrelevant to me at the moment, I'll skip it. Then read that part later when I reread it. In this fashion you can integrate and deconstruct a lot of material, over a sustained period of time. By keeping things in mind, but not solidfying a solid view, allows your unconscious mind to work on it when you sleep or meditate. This is mental efficiency and does not use up as much time or energy as laser focus dedication. Many creative people often wake up in the middle of the night, before they sleep, or after they sleep, and suddenly have this great idea. That idea came from the mind working subconsciously. Whether I use such methods, I cannot really say. Just that over time, I've been able to integrate things that other people after 10 or 20 years, still don't know, because they weren't interested or because they lacked the ability to process new things. Also, this is why internal training is so different from external training. The mind goes first and much time is spent honing the mind, and this can be at the expense of the body in terms of time management. Those that are focused much on the body, will lack the time to sharpen the mind, regardless of their wishes. Other people don't think like this, but I do. As I meet more and more martial artists, that view only becomes more correct to me. "By keeping things in mind, but not solidifying a solid view, allows your unconscious mind to work on it when you sleep or meditate." Yes, I do find this to be quite effective when I just leave my subconscious to simmer on ideas. The problem is that some people may think me discourteous when they do not receive immediate responses. But, as far as my blog and my online martial art community goes, I need to remind myself that these are not my most pressing priorities. That are often much more important things that require my energy and time. Nonetheless, I enjoy the learning that it involves and there is no denying that the martial arts are one of my chief passions. One of the things internal martial artists have a lot of debate about is the proper balance between "intent" (mental concentration) and physical power (muscular conditioning, etc). The common complaint by external martial artists against Taiji Chuan is that it takes 10 years before you can leave the dojo to do anything. These martial artists also say that "there is no shortcut in the martial arts" specifically when talking about McDojos and learning stuff on the internet. So, I'm not sure where this contradiction comes from, but it does exist for them. But IM users don't know where IP comes from either, internal power. It's something you can't see, only feel, so modern Western definitions don't really work even if a person focuses on it in an intellectual sense. To get to the point, if the article is correct about the fascia component when it comes to generating body power, then it will go a long way in explaining how Taiji Chuan generates both mental power and physical power. Both yin and yang components. Thus Taiji Chuan requires the rebuilding of a person's gross motor skills when it comes to walking and weight displacement. This foundation is acquired 6 months to 12 months. It completely changes how a person's body works, just like gymnastics or TKD changes a person's flexibility limits. And it might have done so by changing, not the muscles or joints, but the fascia itself. I am not proficient in every skill or technique in the MA world. And while I've found that I am interested in learning some new things, such as swordmanship and the use of the katana both realistically and philosophically, I do not really need to know more "tricks" to make my stuff usable on an every day level. Thus I have become far more interested in the things that will improve all of my skills, not just some of them. The often considered Holy Grail of martial arts. I could always have hopped around and learned this and that for a few months, collecting rank and tricks, like most people seem to like doing, but that wasn't a way of training I favored. But I don't think I would have arrived at this point in space if I had began my journey learning martial arts in the way most people teach them, as habits to be repeated and not thought about. There is no shortcut when it comes to a change in one's mental paradigm. It takes time. And if people delay it, they will find that as they get older, it takes them even more time to change. Not because their physical skills are deficient, but because they will have to forget, mentally and physically, all the mental habits and physical abilities they have picked up. For at least 6-12 months. Because that is the requirement to truly exceed the physical limitations of human musculature. Truly exceed it. In a way that is not just "mind over matter" or "chi power".